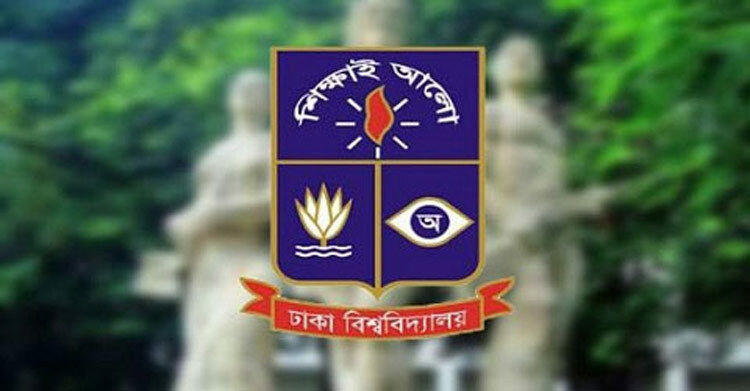 Dhaka University authorities on Monday announced that they would not allow any outsider to stay and roam around the Dhaka university campus without permission of the relevant officials. The decision was taken at a meeting of DU provost committee on July 5. BSS: The DU provost committee took the decision at a meeting held on July 5 following the unexpected incidents took place on the campus centering the quota-reform movement, and reviewing the overall situation, a DU press release said today. DU Vice-Chancellor Dr Md Akhtaruzzaman presided over the meeting. “The DU campus is only open to its students. No outsider can hold any kind of activities on the campus without permission. If necessary, the DU authorities can take assistance from the law enforcing agencies,” the release said. The DU committee also decided not to allow anyone without its students to stay in its halls and send notices to them, who do not have studentship of DU, asking them to leave the halls immediately. The hall authorities can take assistance from the law enforcing agencies in this regard. Any guardian or guest cannot stay in the university dormitories without permission of the authorities concerned. The meeting urged all the hall authorities to remain alert about the presence of any militant and extremist groups in the halls. The hall authorities will regularly hold meeting with the active student bodies to discuss the overall issues, the press release said. incidents brought out on the campus centering the quota reformation movement. The committee was asked to submit its report with recommendations. On April 11 last, Prime Minister Sheikh Hasina in parliament spoke of abolishing all types of quotas in public jobs after the students of different public universities under the banner of ‘Bangladesh Sadharan Chhatra Adhikar Sangrakkhan Parishad’ instigated a movement demanding quota reforms in the civil service.